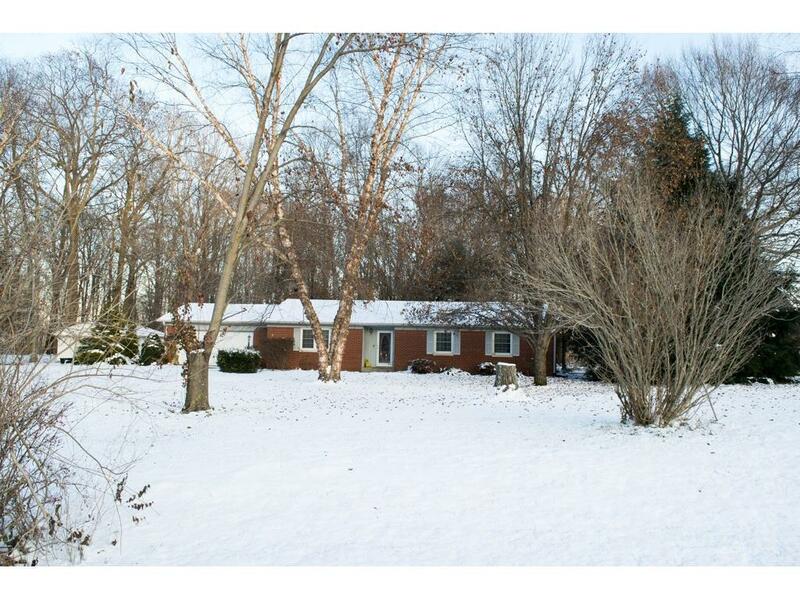 Excellent opportunity to own this 3BR Brick Ranch home built on nearly 2.7 acres. Wooded property is fairly secluded, yet near Highway access. Home has an all seasons room beyond the great room. GR has gas fireplace. Eat in kitchen with laundry off the back to the huge 20X14 concrete patio. The attached garage has a finished workshop/studio room with a sink. Driveway has extra space and drive goes to detached 2nd garage. Huge pine tree hides an outdoor brick oven. Minutes to town or the highway.